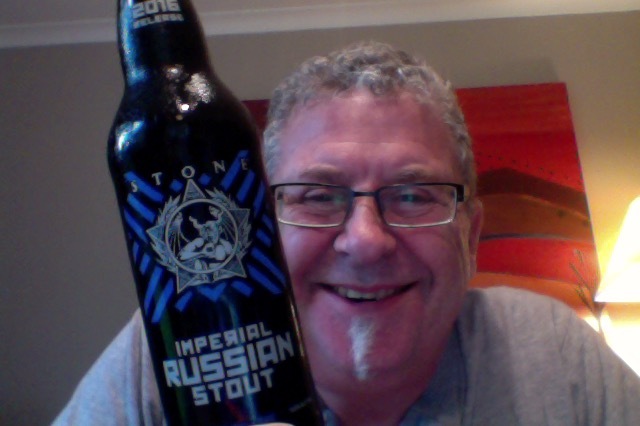 Stone Imperial Russian Stout. a 2016 version. Unusually rare and uncommon in New Zealand although there does appear to have been a small amount available at some point, stashed away until now. Beer is not a treasure and today I’m going to ensure that there is one less in the world. It’s also vinyl Sunday, with a bit of Kate Bush. This is beer that is 10.5% AVB and that’s 315 calories a serve size, the 650ml bottle size is around the 5.5 standard drink units in NZ. Also this has about 65 IBU things. Brewed in the authentic historical style of an Imperial Russian Stout, this ale is massive. Intensely aromatic (notes of anise, lack currants, coffee, roastiness and alcohol) and heavy on the palate, this brew goes where few can — and fewer dare even try. The style originated from Czarist Russia‘s demand for ever thicker English stouts. Expect our version of this mysterious brew to pour like Siberian crude and taste even heavier! Gosh that’s boozy, rich chocolate on opening, all sort of things going on, fruits and all. Pour is dark and syrupy with a small firm head that is coffee brown sitting atop. Aroma is rich fruity and honestly I could think that this was a barley wine if didn’t know better. Aroma is magnificent, pour is dark viscous black, and the head just didn’t sit long enough. No lacing in the glass either. Lots of alcohol tang in a beer that is full of flavours all large but in check. Rich a fruity with a dull thud of a short dry finish. This most certainly is not a beer for the faint of heart, the tastes are large, big large, insistent large. Fruits mostly, and that creeping dry finish. What I was most disappointed in though was a lack of fullness in the mouthfeel, no fluffiness or chewiness, the flavours seem elevated and disconnected from the drinking in some way. Odd and I almost want to say thin, but this is far from. It’s not a hard beer to get to grips with, it is very very consistent through the drinking, no surprises or things lurking or leaving as you work your way down. Really did miss some lacing though, as if somehow I’ve been cheated by it not being there. Cast back to the top and realise that this is a hearty payload of alcohol in what is almost a quaffing format, and that’d explain the smirk I’ve developed. The pdubyah-o-meter rates this as 9 of its things from the thing. Needed something in the body of this to fill it out and make it a much fuller mouthfeel experience that I think would have elevated this to excellence. 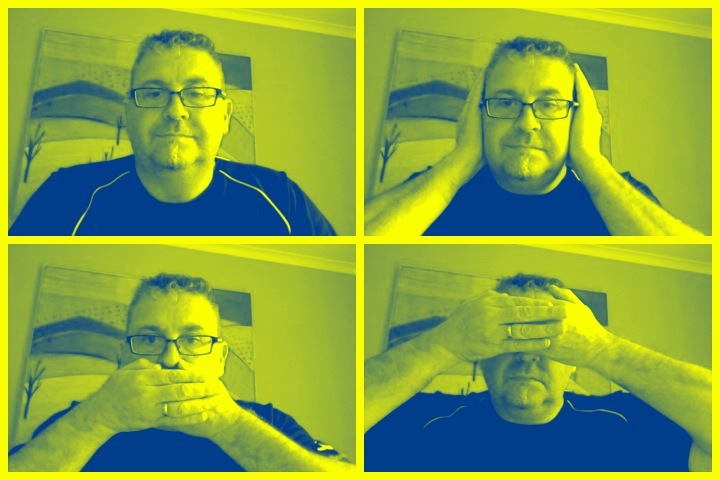 For me though it stumbles and does’t quite make it. Am I enjoying it? Very much so, a rare beer rarely enjoyed. Would I have another? I would there are many years of them to find. Would I share with a friend on a porch and set the world to rights? Yes, it’s a big beer for a big occasion. Lots of flavours, lots of aroma and despite being large and brash isn’t really that hard to drink or get to grips with. Music for this: ” Hounds Of Love by Kate Bush on Spotify I have this on Vinyl , of course being a Sunday, and I brought it when it came out, sounding old. 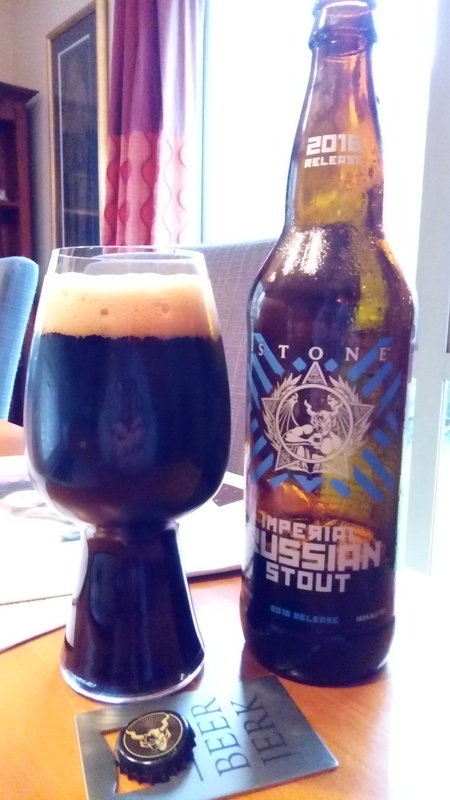 This entry was posted on August 27, 2017 by Philip Walter in Beer, Beer of the USA, Beer Review, Brewed By, Craft Beer, Critic, Imperial Stout, Russian Imperial Stout, Stone and tagged craft beer, Imperial Russian Stout, seasonal beer, Stone Brewing, Stone Imperial Russian Stout.